Romanov. Whenever I heard that name, I always remember Anastasia. The duchess who we thought was alive and we were all hoping she was. Stories and faux Anastasias came out just to claim the fame and attention the mystery has been getting. 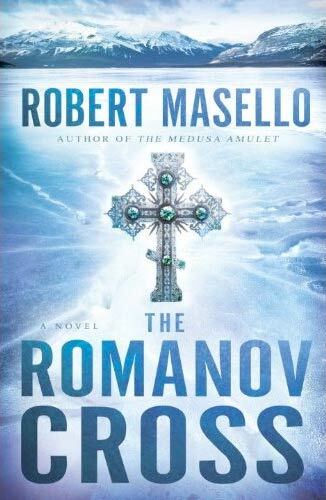 Mind you, I have always been fascinated with the whole story, the Romanovs, Rasputin, etc. I am in a point of my life wherein it somehow became my obsession to google all things related to the Romanovs. Now that I know the whole story and that Anastasia's body was already found, the possibility of her being alive even just in a fictional context still allures me. Seeing this book, I immediately requested for this book. But first, I have to explain why it took me so long to read it. I was preoccupied with different family trips and personal errands during the summer. I also took a breather for reading and writing so it was not the book's fault. Though I had to admit, since the book was narrated in both past and present views--sometimes alternately--I experienced slow paced moments especially in the modern setting. I guess it was because the author had to explain some technicalities which I thoroughly appreciate since there were a lot of medical verbiage that you have to learn and adapt in order to further understand what is happening. With the plot, I have to be honest that at first I was getting somehow confused on where some of the chapters would lead to. I was looking forward to the parts in the past setting more than the present. The said chapters were able to captivate me and grab my full-on attention that I was able to savor such history. I feel like I was also in that moment. But eventually, I experienced a light bulb moment and I was able to connect and patch everything. Then and there I was enlightened. Robert Masello's writing was also amazing. It was like watching a movie and I was able to play the scenarios inside my head. Like I said, I was hooked with the chapters Anastasia and Rasputin was in. It felt so real that the fictional contexts may even pass as part of our world history. It was no fiction, I tell you. He was able to lead me to a world of possibility despite knowing what's real. I also like the CSI-feel in some chapters. You'll know what I mean when you read it. The twist that was revealed towards the end was also surprising though I have already suspected it. It still had an impact and I was still thrilled. Plus, I was totally mind-blown by the ending. It was brilliant and has a really strong cliffhanger that I am expecting for a sequel despite knowing that it won't have one. Ahh! You know it was a good ending when you let the reader create different conclusions on his/her own. Oh it was an amazing read!